From vacuum sampling in apple trees at Kapnick Orchards. I'm stumped - Pteromalidae? Eurytomidae? Eucharitidae? Doesn't seem to quite fit any of them. I took both this side shot and a ventral one that better shows the wing venation and petiole (which seems to have two bulbous/enlarged sections). 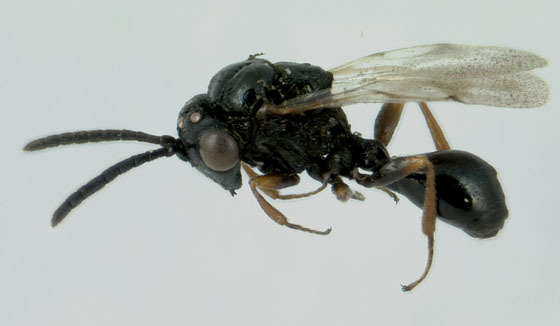 (Hymenoptera: Eucharitidae): parasitoids of Lasius (Formicinae). Third guess was the good one.